My sister has become an official content corrector as my grammer is hai tobba, when she has time she corrects it. So the days an update is real bad grammatically, my content corrector is on a break. Overall my content corrector is dedicated, in fact recently when she was honeymooning in Maldives she send me a list of mistakes in whats app and later I corrected it. I also send her a message -what are you doing there reading my blog, go make babies..
Dad who is the official commentator on my blog, every update he has to comment, read it and biasedly like it..
Oh! how could I forget my Husband, Mr official playmate of the son, is is that free times I get, I mange to write. Many a times I am interrupted by them shouting under our balcony “mumma water” or “mumma throw the red ball”.. So just like family restaurants and businesses this is shaping into a family blog.. 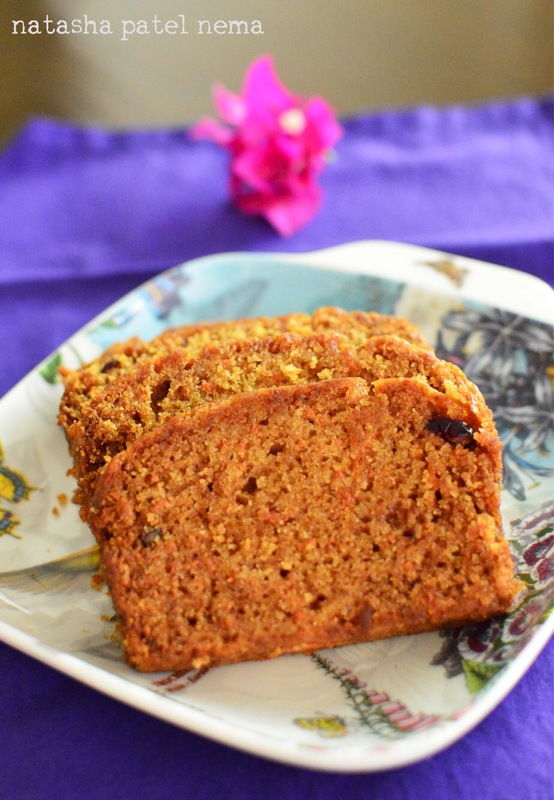 The other day mom made the most moist carrot cake, I saved some of its slices to take a picture and put it on the blog.. I love mom for teaching me balance in life. She is the one who pushed me to start gym after my son started school as her point was that if you are fit, you will feel good about yourself, you will be a happier person and that will help everyone around you. Along with this she has also taught me not to get over obsessed with double chins and few tyres her and there as you have to live a life and not starve all the time. So we as a family eat cakes, ice creams, fried snacks but we also make sure to workout. I have learnt balance from her, in cooking balance of flavours is most important, in life balance in relationships – don’t over do (I had this habit of overdoing, then getting disappointed) and don’t underdo by being selfish.. This cake was cooked by her and we fought for the last morsel, including our always hungry dog..in two days it was licked and disappeared. 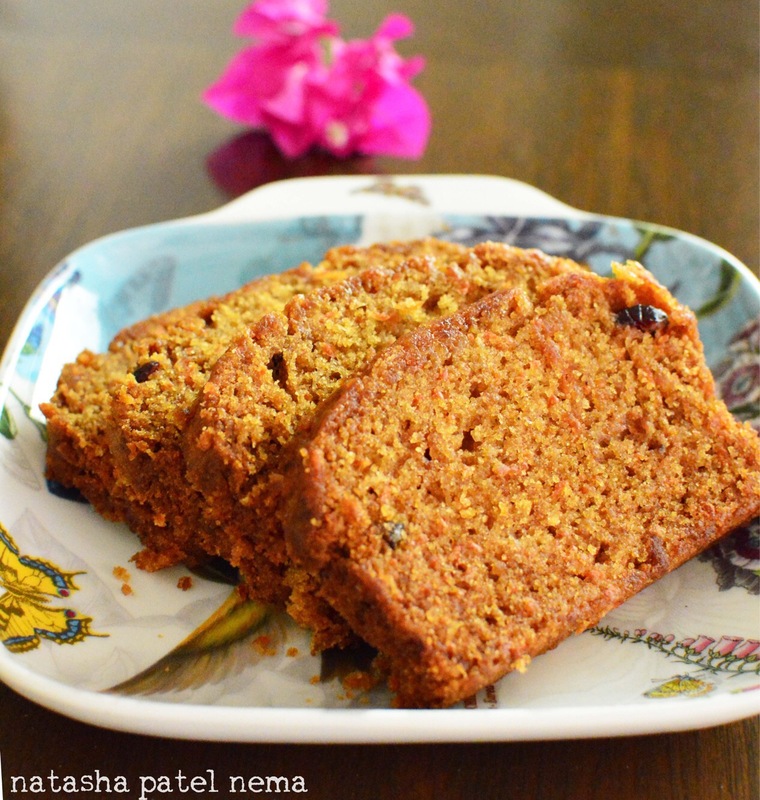 This is a very good recipe and the cake turned out awesome as mom is a perfectionist, she mixed every ingredient precisely and finally the last ingredient adding her most special ingredient love..
First mix sugar and oil, beat it with a beater. Add honey and beat again. Add eggs mix the mixture well. Add the dry mixture to the wet batter and flot the batter well. Grease the bread tin, line it with butter paper on the bottom and pour the cake mixture. Preheat the oven at 150 to 160 degrees. Bake for 35 minutes. Check it with fork. Let it cool for few minutes and take it out from the tin. Again let it cook on a rack for few minutes. I enjoyed this cake with my evening coffee.